Halloween is great no matter how old you are — but when you have tiny kids to dress up, it’s just that much more entertaining. Whether you and your child love some DIY action or prefer to shop in a costume store, your perfect costume is out there somewhere. Looking for some inspiration? You’re in luck. Here are a few ideas for babies, kids and teens that will easily edge out your summer vacation snaps as the cutest Instagrams of 2017. The littlest kids are super-easy to dress up for Halloween. If you’re not into paying big bucks for the tiniest costume in the store, there’s no reason not to DIY. Put kiddo in a solid-colored onesie, add some matching pants and socks, and buy a few accessories for an instant baby costume. Here are a few specific ideas that incorporate solid-colored baby clothes and sweet, sweet accessories. Kitty cat: Black clothes, cat headband — what could be cuter? You can even buy a fake tail. A few eyeliner whiskers, and your baby is ready right meow. 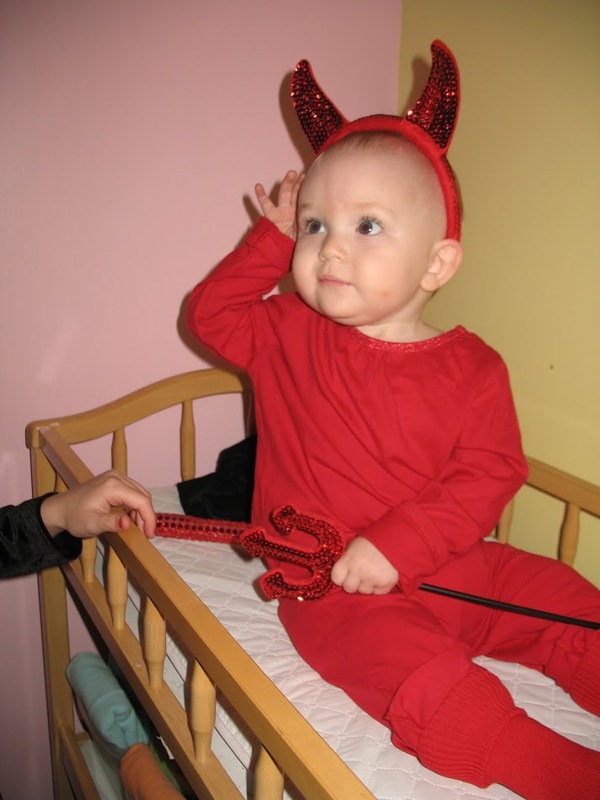 Devil: All you need are red clothes, a horn headband and a devil tail. Add an eyeliner mustache, goatee and darkened eyebrows if you’re feeling it or even a felt pitchfork. Ladybug: Black clothes plus ladybug wings plus antennae equals… adorable. Butterfly: Same idea as the ladybug, but swap the bug wings for butterfly wings. Also, you can play with the butterfly’s clothing/body color — purple? Blue? Pink? Yellow? The world is your winged oyster. Puppy: Just find some brown or black clothes, dog ears and a tail. You can even paint spots on her face — if you’re confident she won’t wipe all the makeup into her eyes. Sports ball: This will require a bit of artistic skill, but hear us out: Do you have a brown onesie? Glue some white felt on the front in the shape of the stitching on a football, and bingo. Your baby is now a football. Are you a soccer fan? Take a white onesie and attach black pentagons. Baseball? White onesie, red felt stitches (or even just draw them on with a Sharpie). Charlie Brown: Grab a yellow onesie and attach a zigzag strip. Bonus points if your baby is bald. Other animals: Tiger? Add some stripes to your orange baby suit. Bear? Brown outfit and these bear ears. Deer? We’ve found antlers and ears for that too. Just about any animal you can think of, there are tiny ear headbands out there for it. 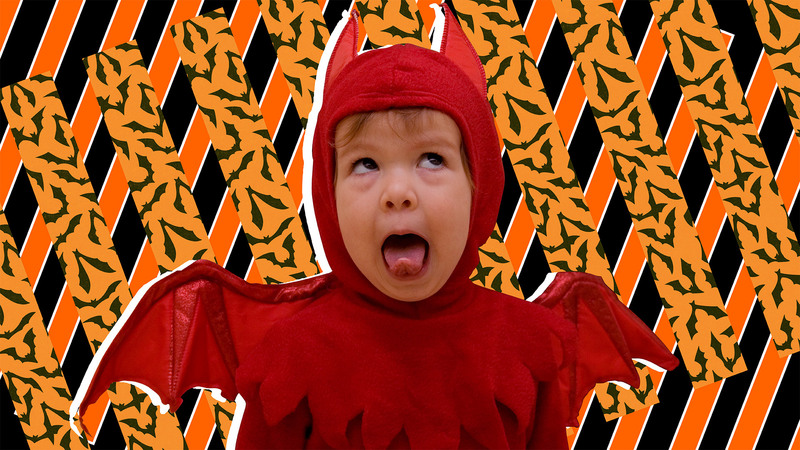 For kids in preschool, elementary and middle school, you can’t go wrong with the tried-and-true Halloween costume classics. Princesses: Moana is the latest (and definitely greatest) in the Disney-princess canon, and she’s sure to be all the rage this Halloween. Belle from now-live-action Beauty and the Beast will likely be a close second. But all the others are fair game too and always will be. Bonus points if your little boy is the one dressing up as Elsa, Merida, Rapunzel or Cinderella. 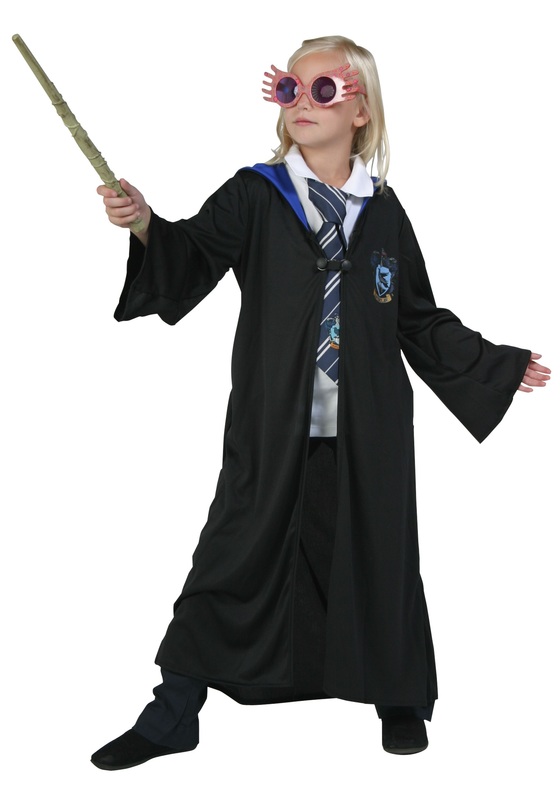 The world of Harry Potter: If your kid loves magic and Hogwarts, you can totally turn them into a witch or wizard with just a wave of your wand. A cloak is a solid starting point — whether your tyke wants to be Harry, Hermione, Luna, Ron or even Professor Snape. After that, you’ll only need a few further touches (such as a scarf in the character’s house colors). Superheroes: Hollywood will probably continue to churn out superheroes at a frenzied pace until the end of time. Wonder Woman, Thor, Gamora, Nick Fury, Iron Man, Spider-Man, Black Widow, Batman and Captain America are all super-popular right now, and they’ve probably got staying power for years to come too. While the perennial debate of “How old is too old to trick-or-treat?” continues to swirl around every October, teens can and do still dress up — whether they’re trick-or-treating or headed out to Halloween parties with their friends. Inflatable costumes: Inflatable costumes are usually pretty hilarious, whether it’s a giant T-Rex or some guy in a bathtub. The classics: Classic movie monsters are perfect for teens, and many can be DIYed: a vampire, a mummy, Frankenstein’s monster, a zombie, a werewolf… a mask and a few creative ideas may be all you need. Note: Maybe tell your teen to rethink the scary clown thing though. 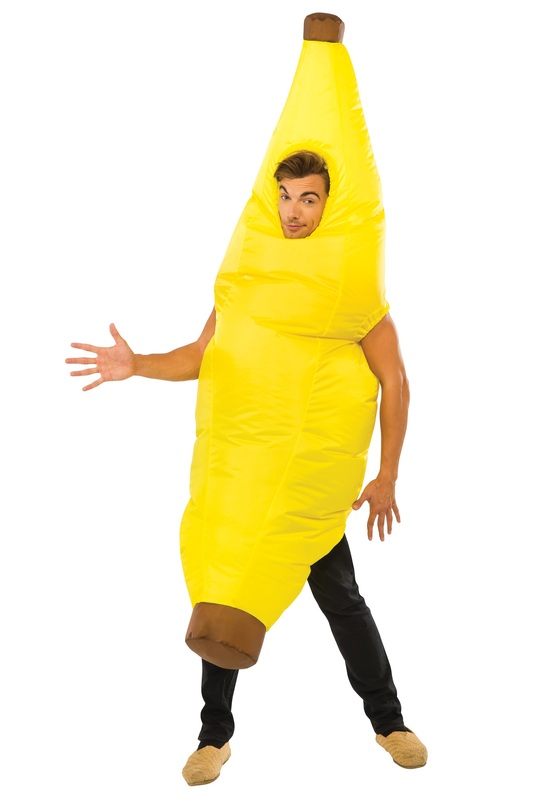 Group costumes: Yes, group themed costumes are great for families, but they also work for your teen and their friends. Think Star Wars, Alice in Wonderland, Guardians of the Galaxy, The Wizard of Oz, Doctor Who, or anything else the young whippersnappers are into these days. So don’t worry: No matter your kid’s style, it is possible to work together and rustle up an amazing Halloween costume without breaking a sweat or trying to strangle each other. And that’s true whether said spooky masterpiece is pieced together from your closet or purchased at the Halloween big-box store. Both are just different versions of the “easy” way out — and isn’t that the best way?